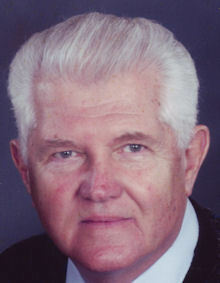 Robert J. Sislow, age 84, of Lorain, passed away at Mercy New Life Hospice on Friday April 5, 2019. Born in Lorain on June 7, 1934, Bob was raised in South Amherst and was a graduate of South Amherst High School. He went on to serve in the United States Army where he fulfilled duty assignments as a Specialist 4 assigned to the 64th Tank Battalion. He was the recipient of the Good Conduct Medal. A parishioner of Nativity BVM Catholic Church in Lorain, Bob was also a member of the United Polish Club. In his younger days Mr. Sislow enjoyed playing softball; he also served as an assistant baseball coach in the Minor, Little, and F Divisions of the Lorain Youth Baseball Program. He enjoyed playing basketball, fishing, golf, and solving crossword, jigsaw, word search, and Sudoku puzzles. Additional interests included playing board games with a special fondness for the Trouble pop-o-matic game. Mr. Sislow was the devoted and loving father of sons Tom and John (Mary Jean) both of Lorain, and grandfather to Amanda and Olivia. He also leaves sisters Delores Mouhlas of Parma and Jean Hardwick of South Amherst. Bob was preceded in death by his wife of fifty-nine years Carolyn (nee Skorupa) in August of 2018, parents Mike and Emma Amelia (nee Mack) Sislow, and brother Michael Sislow. Visitation will be Wednesday from 4:00 until 8:00 p.m. in the Gluvna-Shimo-Hromada Funeral Chapel, 3224 Broadway Avenue, Lorain. Funeral services will be Thursday beginning at 9:30 a.m. in the funeral chapel. A Mass of Christian Burial will follow in Nativity B.V.M. Catholic Church, 1454 Lexington Avenue at 10:00 a.m. Reverend Robert Glepko, pastor of the parish will officiate. Burial will follow in Calvary Cemetery where military honors will be conducted by Amvets Post # 32 of Elyria. St. Jude Children’s Research Hospital, 501 St. Jude Place, Memphis, TN 38105-9959.